Super Heroes has Green Lantern Superman, Batman, Flash and Wonder Woman logos on the front. Partially covered top for shade. 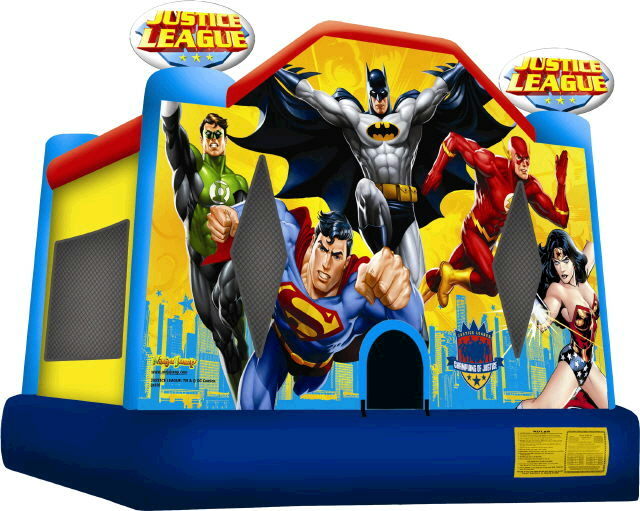 * Please call us for any questions on our moonwalk super heroes 12x13 x12.5 foot tall rentals in Ft. Wayne IN, Warsaw, Syracuse, Auburn, South Bend, Indianapolis IN.